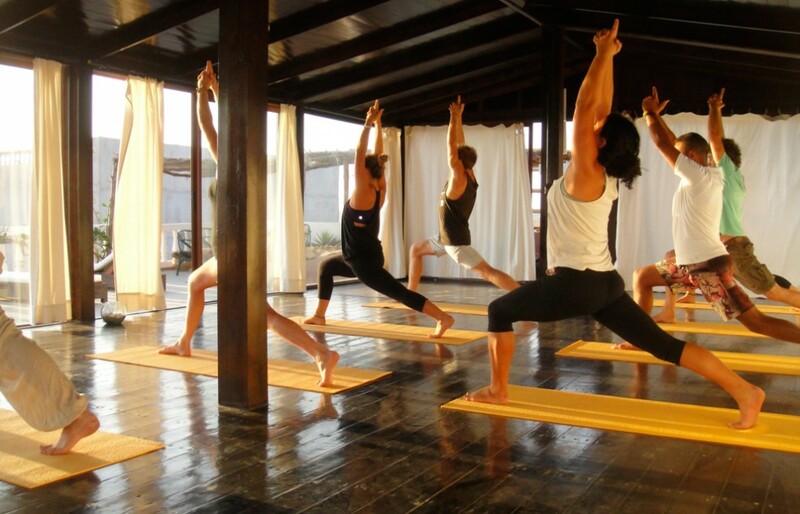 Our Yoga Surf Retreats at Villa Mandala provide an expertly crafted yoga program alongside daily surf excursions. 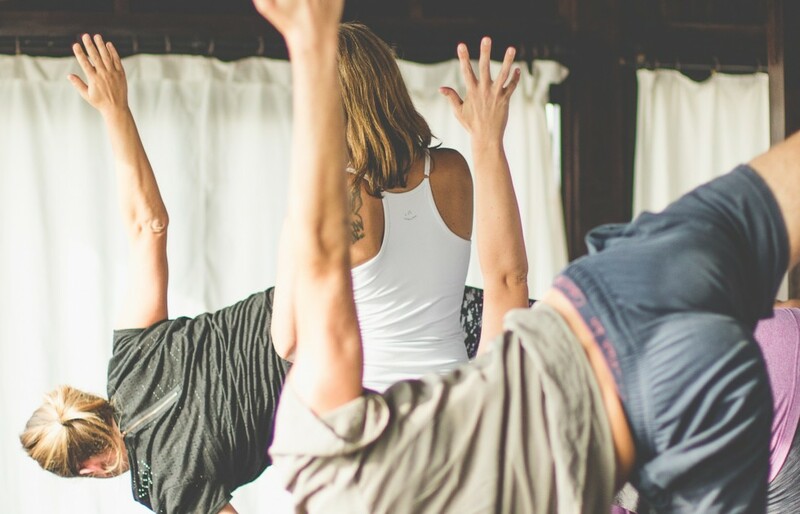 The seven-day progressive retreat authentically explores the vast world of yoga, for the beginner and the adept yogi/yogini alike, including an inspired mix of creative Vinyasa, powerful pranayama, laughter yoga, restorative, yin, yoga nidra, and meditation. 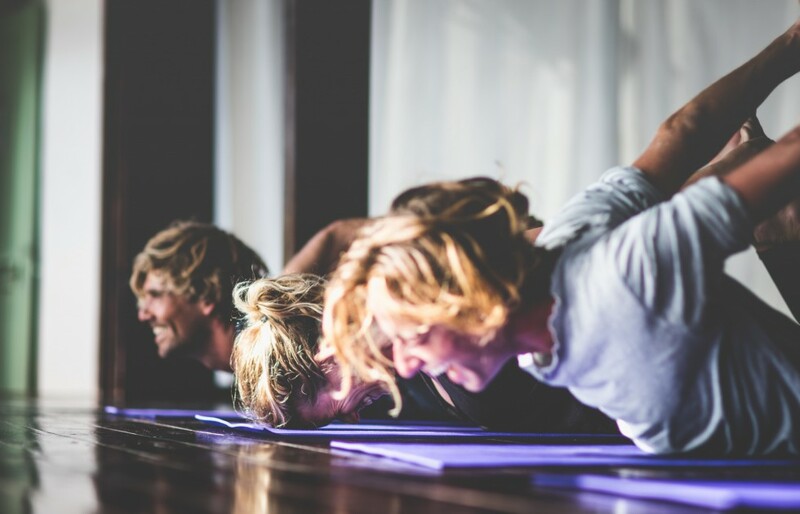 It’s the package to book for those of you who want to enjoy the positive & transformative effects of a deep yoga practice within a beautiful retreat setting whilst having the chance to catch some waves & have fun in the sun. 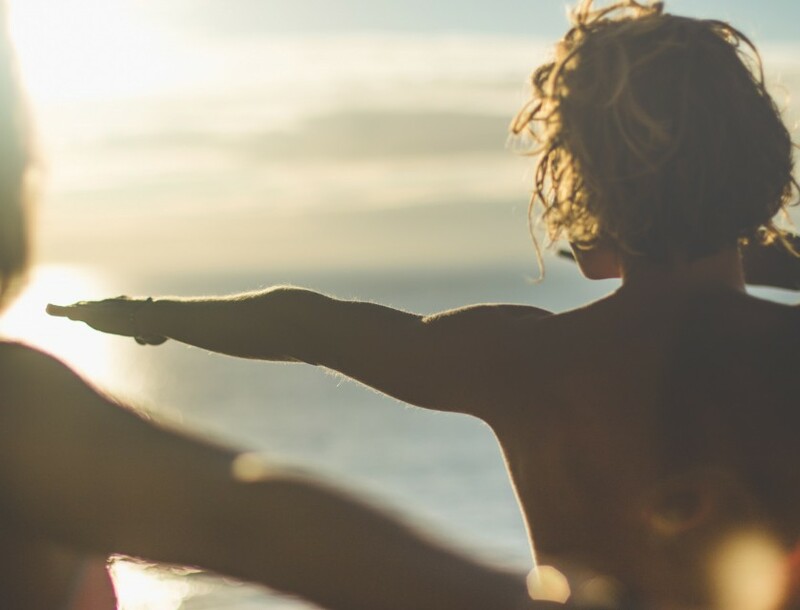 Our Yoga Surf Retreats at Villa Mandala draw together years of study, diverse influences and myriad trainings to create a week of enlightening yoga alongside daily surf excursions. It’s the holiday to book for those of you who want to be immersed in & inspired by an authentic yoga practice & exceptional teaching with plenty of time to catch some waves & explore this magical coastline. 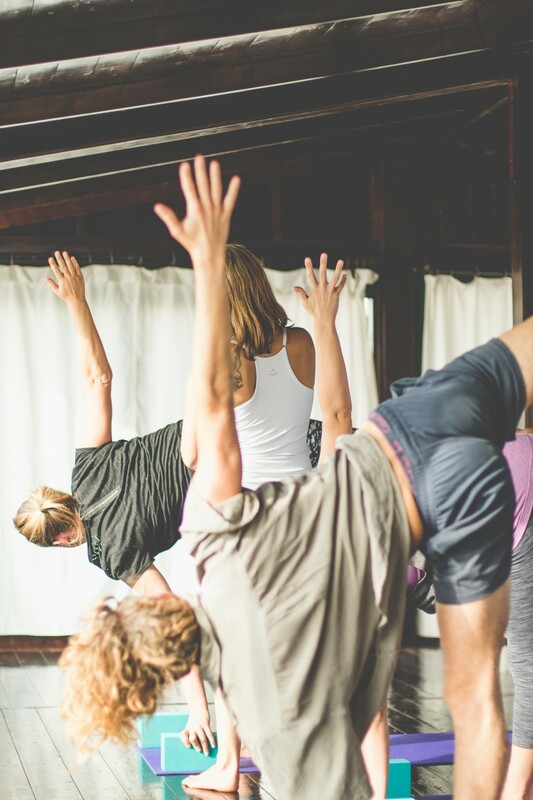 The seven-day retreat provides an introduction to all aspects of yoga for beginners and the chance to dive deep into an enriched intermediate or advanced practice. The week is progressive allowing everyone to playfully explore to help reach our highest potential. Sessions are expertly crafted and aim to strengthen, stretch, inspire, and relax each student on all levels of their being. Each class is individually themed and can include time for meditation, yoga philosophy, chanting, music, pranayam, reflection, visualisation, and relaxation. Our teachers also offer time for 1-2-1 tuition, fulfilling every student’s expectations and requirements. This can be for 30-minutes to 1-hour, which will allow the yoga instructor time to focus on you and your personal goals with yoga. Morning classes are 120 minutes of intelligently sequenced invigorating Vinyasa flow. Evening classes are a deep yin or restorative practice to rebalance the body and mind after a day in the sun and surf. Although nothing is obligatory and every guest may do as much or as little as they wish, we offer the chance to practice up to 3.5 hours of yoga every day. Claire is from Alsace, France. Fifteen years ago she flew to Canada’s West Coast (Whistler) to pursue an enriching career as a snowboard instructor and coach. It’s there that she discovered Yoga and various self care practices which radically changed her life for the better. 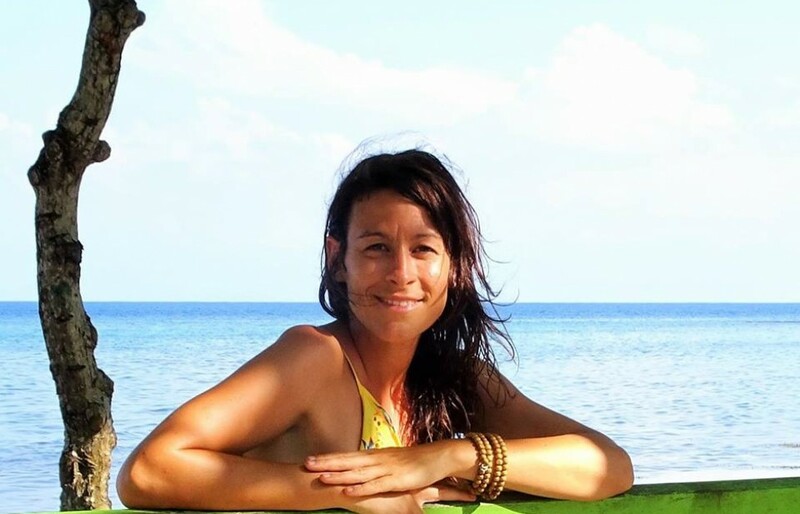 Nomadic, plural and curious, Claire is grateful to be able to combine her discovery of the world with teaching Yoga. 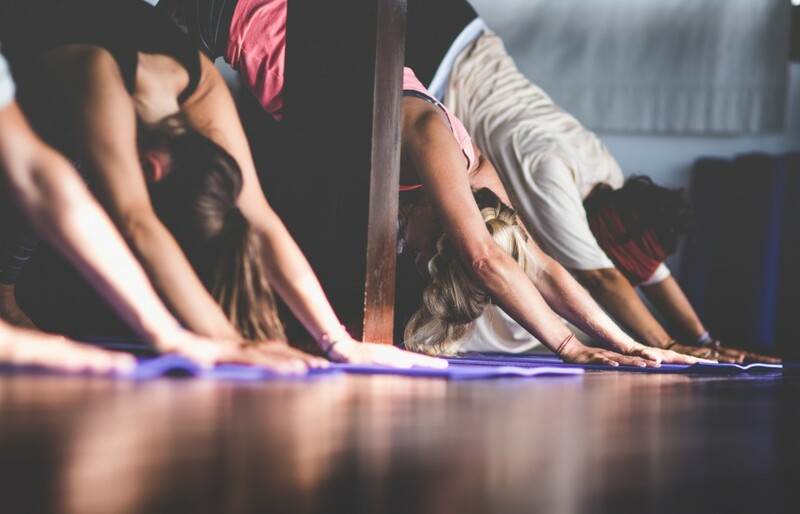 From vinyasa, hatha flow to restorative yoga, her classes are tradition based (meditation, breath work) sprinkled with everyday inspiration and timeless wisdom from various backgrounds. Claire is also inspired by the teachings of nature and believe Yoga can be experienced on and off the mat. Expect inclusive, empowering and creative classes, hands-on assists infused with essential oils for some aromatherapy touch and a range of modifications to choose from. 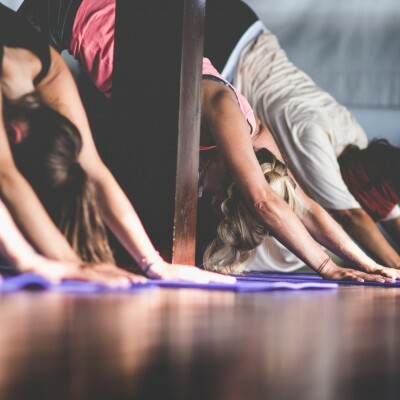 Training : Jivamukti, Ashtanga and Bhakti with Tina P. James, Hatha, Restorative Yoga with Colleen Felgate, Canadian First Nations teachings with Elders Vern and Mumsie. 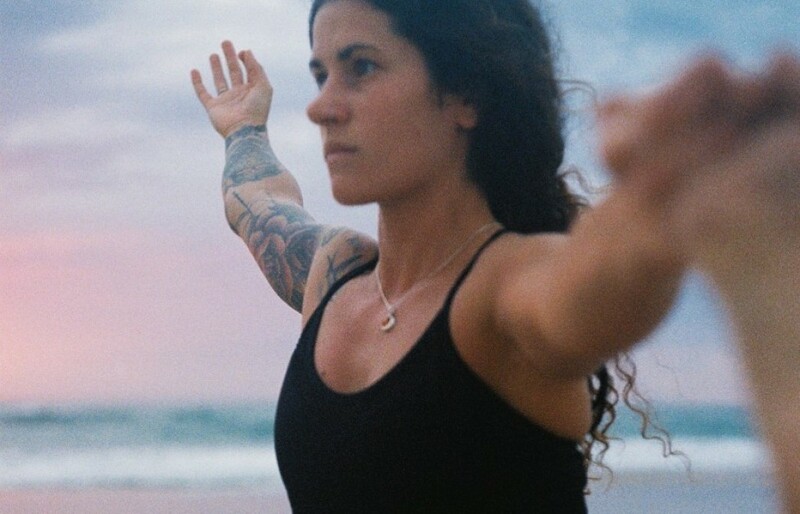 Pauline, 800 hour trained at The Byron Bay Yoga Centre, Australia. Now, after four wonderful years in Australia, she continues to combine her passion for yoga and surfing with Surf Maroc. 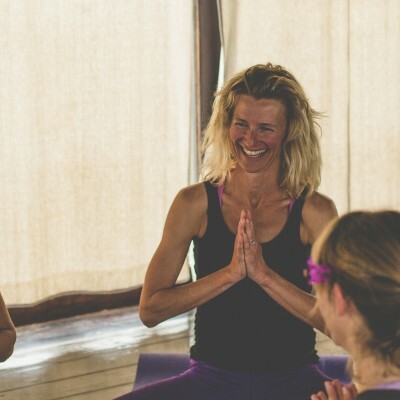 Learning through amazing teachers, Bec Issac and Jananivas Das, Pauline has developed a strong Hatha Flow practice, focusing on safe and fun sequences. She has also studied with expert teachers, Clare Merrifield and Bess Prescott, delving deep into bandha work & Kundalini energy. A week’s Inversions Workshop with Patrick Beach and Carling Harps, as well as an immersive workshop with Adam Whiting on Ganesh (based on Kundalini energy, Mulabandha and Koundinyasana flow). Through her assiduous Asana practice, she marries breath and movement incorporating body mindfulness and awareness into her teachings. Each practice, from her powerful Vinyasa flows to her deep Yin release, encompass pranayama and guided meditation. Pauline shares her knowledge of Yoga philosophy, with a special interest in Bhagavad Gita and The Yoga Sutras of Patanjali, lightly, with warmth and humility. Mostly she just loves teaching and putting her heart into it. She’s passionate about sharing the expression of the body and breath moving together. The shala is fully equipped with yoga mats, blocks, straps, bolsters, blankets, sand bags & lavender eye bags. 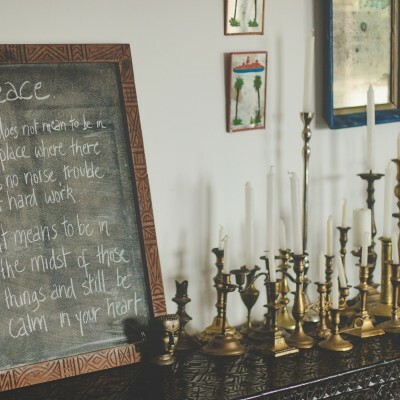 As well as plenty of incense, candles, a little Ganesha shrine (& beautiful dristi), built-in dimmer lighting, electric sockets and speakers; we also provide each guest with a their own yogi towel (drip dot mat) to use throughout the retreat to optimise your yoga practice and minimise your luggage! 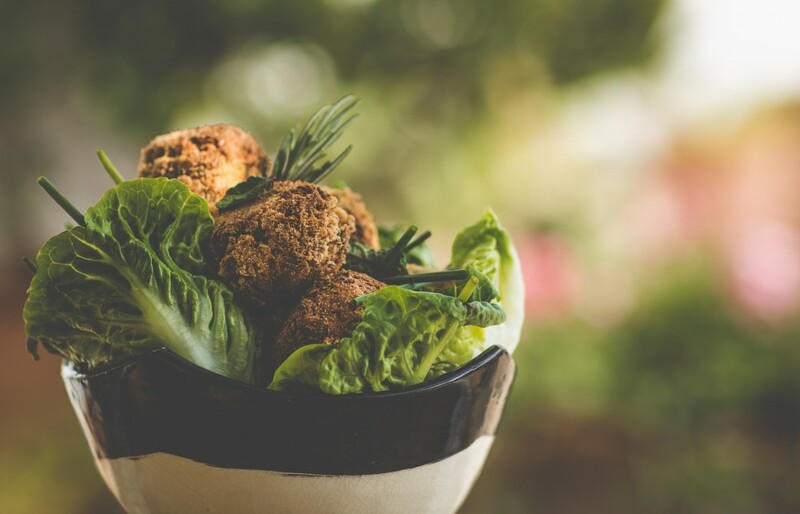 Our kitchen serves up delicious vegetarian food made from local seasonal ingredients. 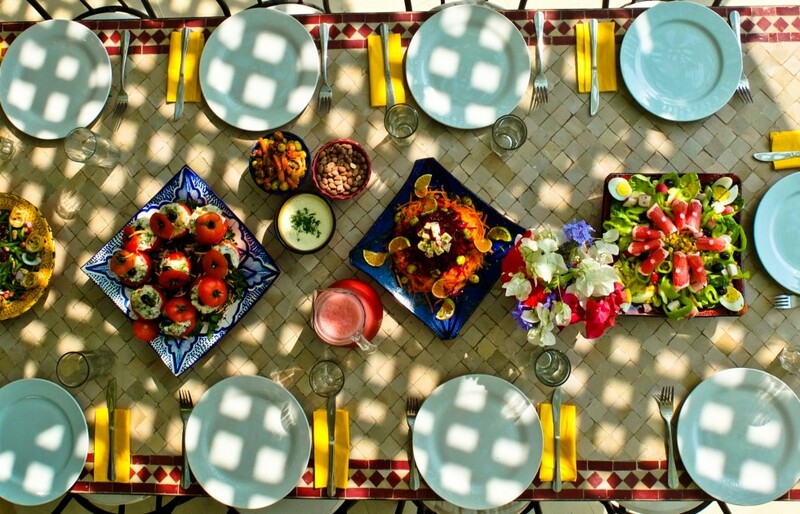 For breakfast and dinner, guests are invited to feast together on the terrace beside the pool overlooking the surf. 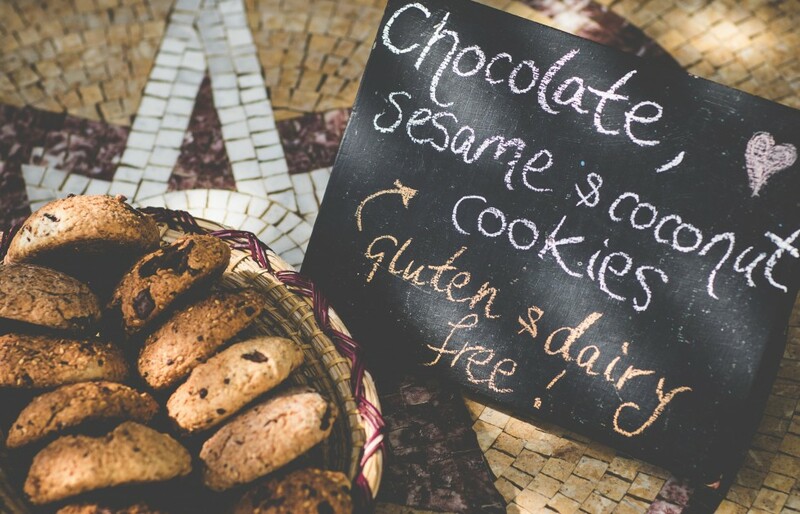 We are able to cater for most dietary requirements, so please just let us know. 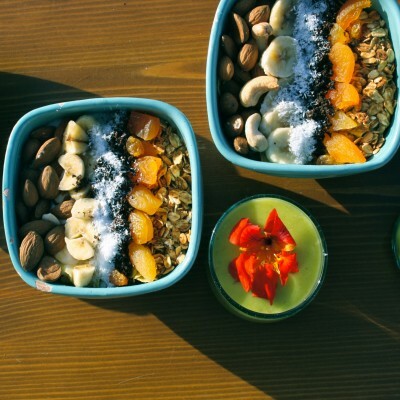 Each day our chefs prepare a nutritious packed lunch for you to eat at the beach or in and around the Villa. 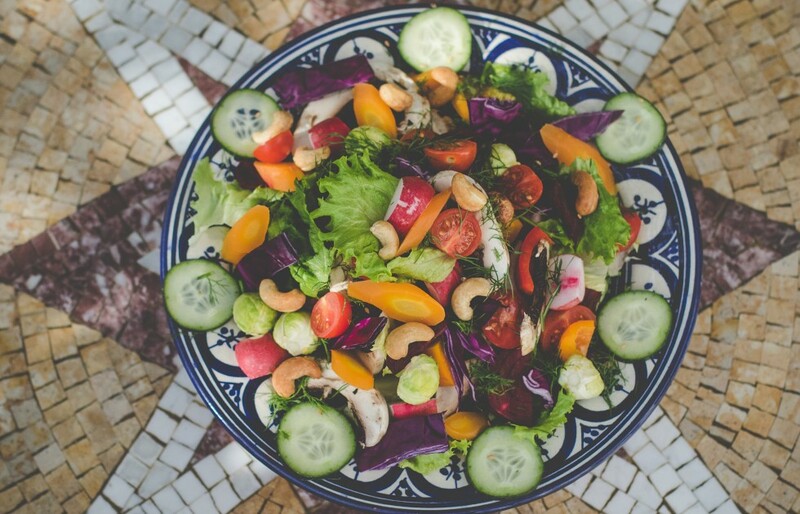 It’s loaded with health foods, including various wholesome salads, homemade falafels, fresh fruit and treats. Our epic evening feasts punctuate the day and form an important part of our Villa Mandala Retreat experience. A spread of delectable poolside tapas is followed by a gourmet main meal including: Moroccan classics reinvented Mandala stye: Aubergine & lentil kefta tagine, and a variety exquisite international dishes: Cauliflower, sweet potato & coconut curry with beetroot patties & almond, raisin & star anise wild rice. Homemade desserts are equally varied and exciting – our avocado, chocolate & hazelnut tart a guilt free revelation! 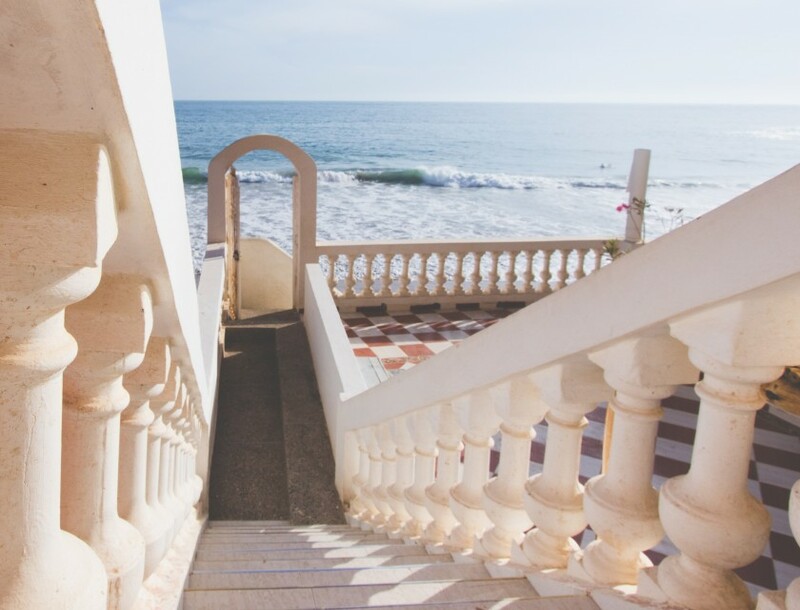 Because of Morocco’s multi aspect coastline, which provides a range of different surf spots that work for any given tide or swell – we have waves for all surfing abilities. Our Yoga Surf Retreats are perfect for all levels of surfer from the complete beginner to the advanced. 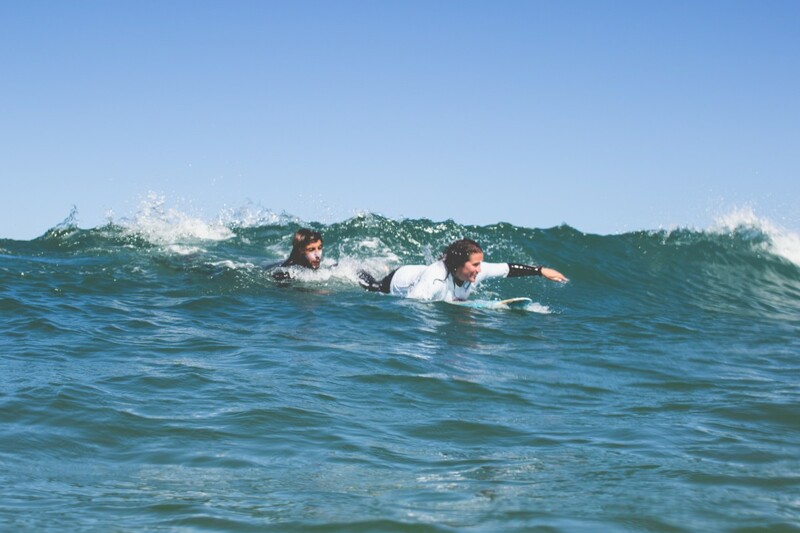 To ensure you get to surf waves suited to your ability we implement a surf levels system, meaning you get paired with a surf group of similar ability and seeking the same type of waves. Between yoga sessions our qualified surf instructors will take you to waves to suit your ability and provide you with hands on coaching. 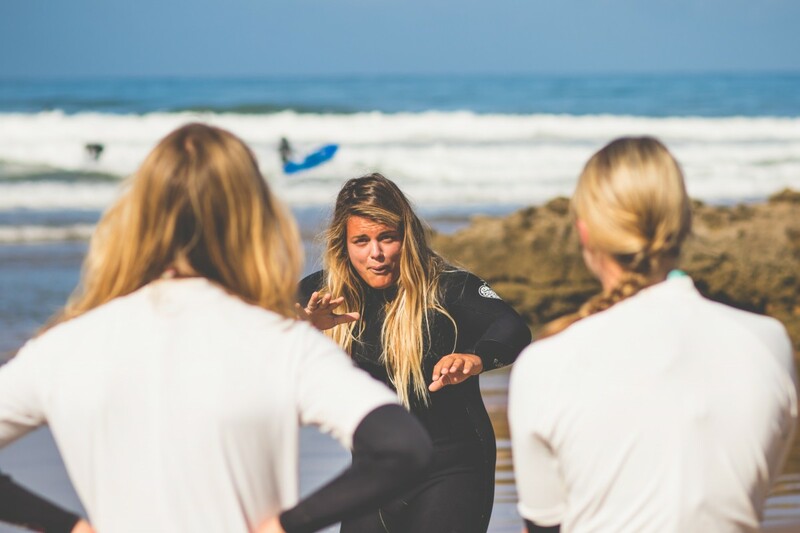 All of our surf instructors have invaluable knowledge of the Moroccan coastline and are proper locals – they know exactly which breaks are working and when. To get you around we have a fleet of vans and 4×4′ s equipped with FCS auto accessories, safes for valuables, and medical kits. Our level one coaching program is about teaching you the basics. We’ll start on the beach and then move to waist deep water working on board handling and safety, reading ocean conditions, paddling, and catching broken waves in the prone position. You’ll be up and riding in no time! Level two surfers have surfed before, know the basics and are practising getting up in the white water. The focus is to increase your confidence in the waves in order to progress you to an efficient stance and increase your wave count. Key points will be paddling into waves and catching waves un-assisted, accelerating your board and the all-important pop up. At level three you are outback, catching green waves, standing up and turning. At this level we focus on solidifying your level one and two learnings with a view to progressing you beyond the white water. You’ll learn about the paddle out and the required techniques to make it easier, board control, quicker take offs, weight distribution. We’ll also introduce you to wave selection theory and catching and riding green waves. 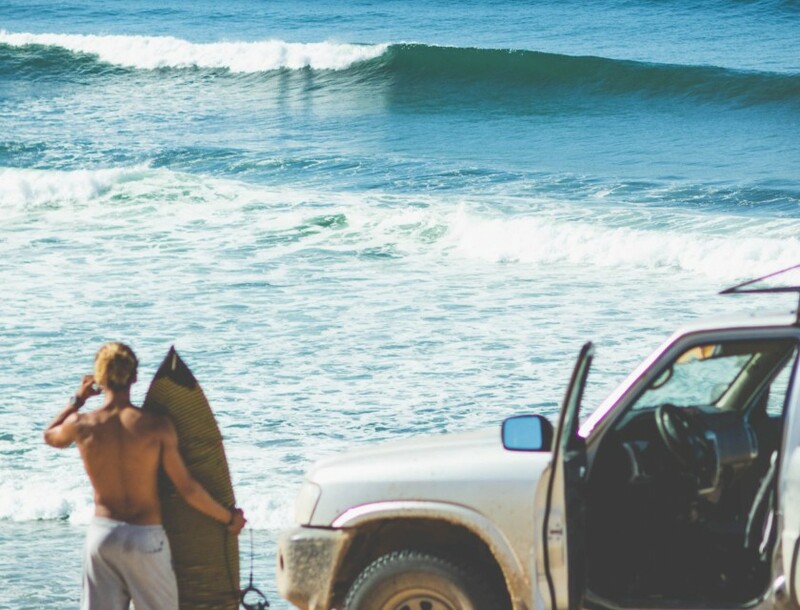 You are outback at beach breaks only and catching green waves up to head high. 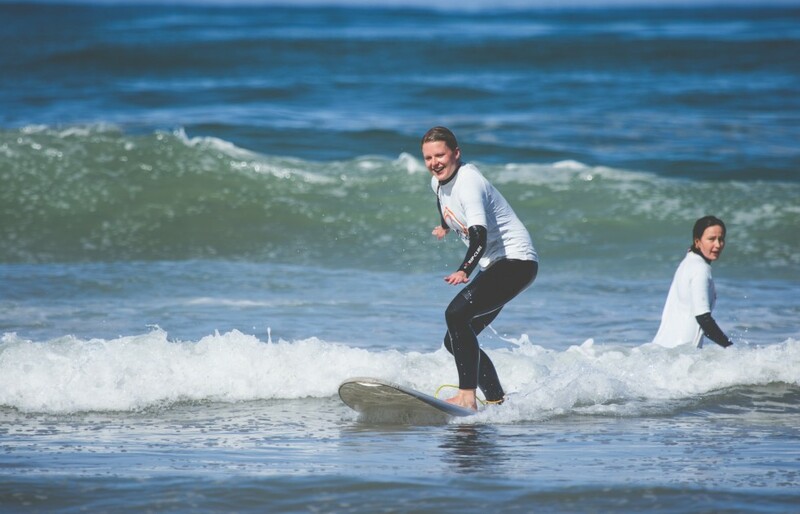 These sessions are ideal for those who can surf but haven’t surfed for a while and need a few pointers to get up to speed so you can make the most of your stay. Level four coaching is a great way to lose bad habits, extend the length of ride and get your wave count up! 2 – 9 March – SOLD OUT! 23 March – 30 March – SOLD OUT! 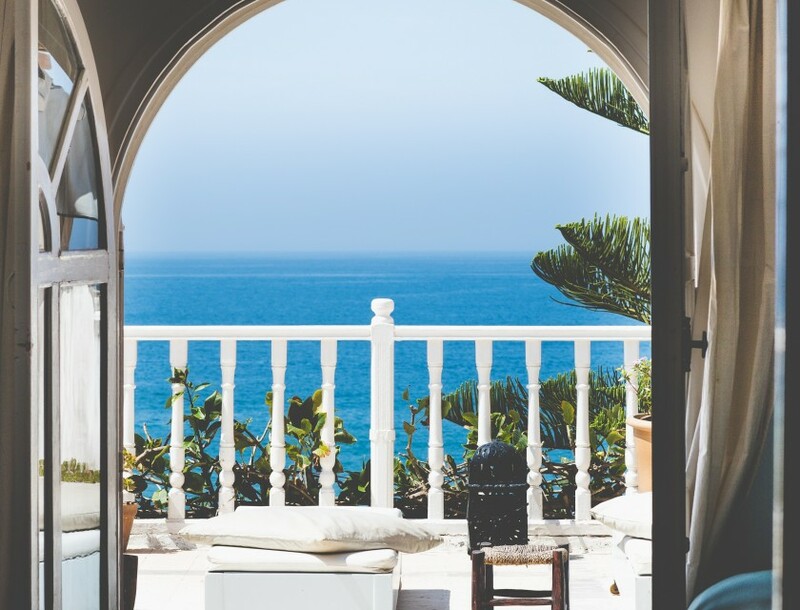 Please Note: If you do not find dates that suit you – we have alternative options for Surfing Coaching and Yoga at the Amouage and Taghazout Villa. 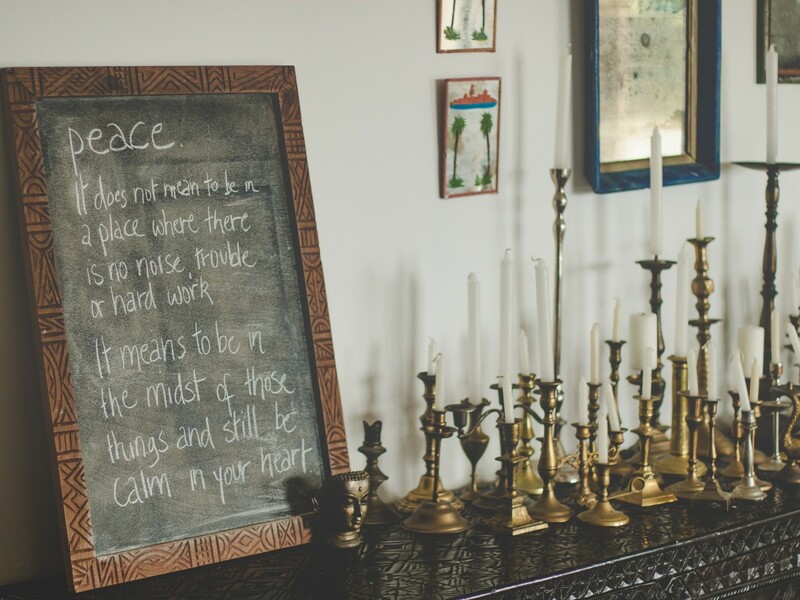 Friendly welcome, great yoga and surf teaching, delicious veggie food and effortless organisation. 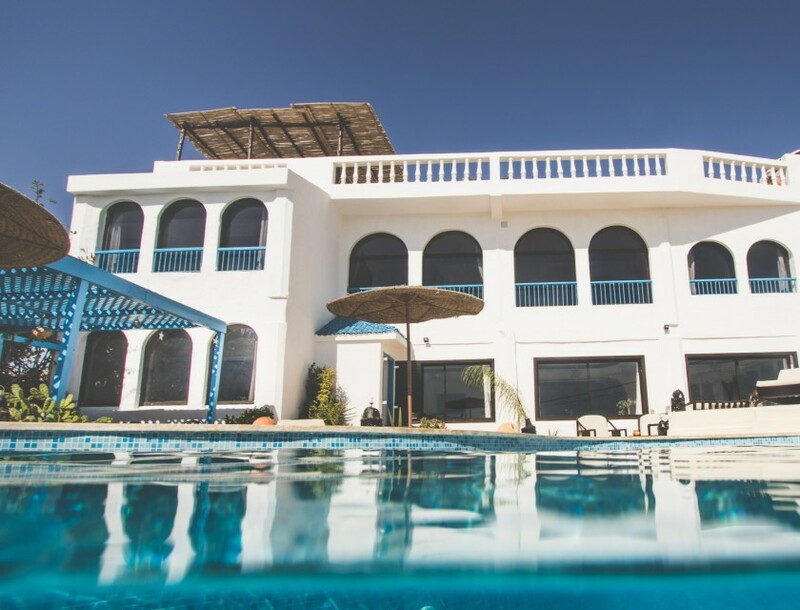 The Villa itself was tremendous: nice rooms, great common areas, nice pool, walking distance to town (Aourir) and easy driving/taxi distance to Agadir and Tagazhout. 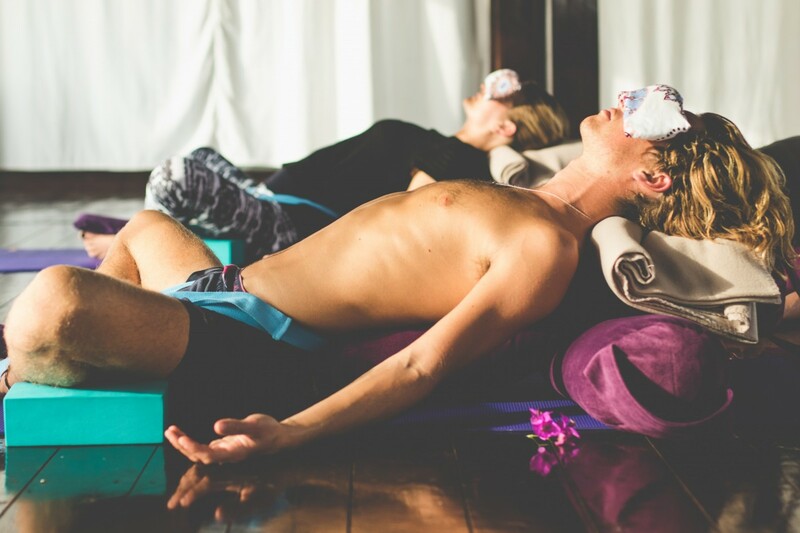 I've been to a couple of other yoga retreats and this is definitely a top level of service compared to most. You couldn't ask for anything more. 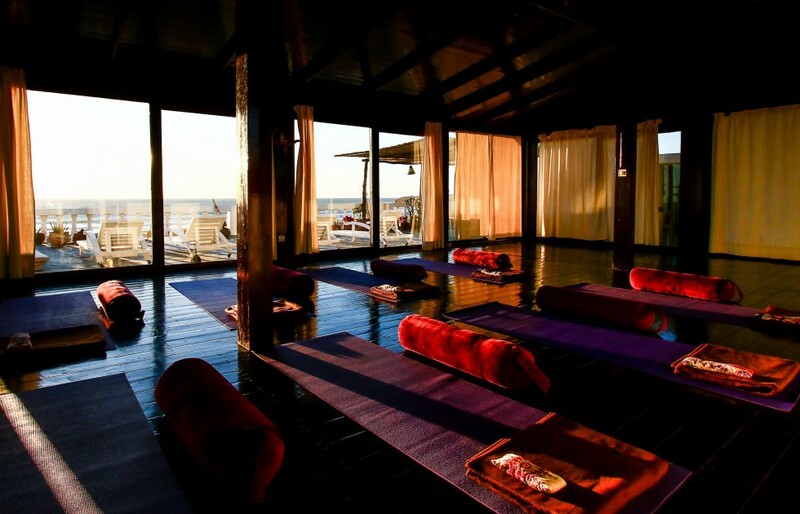 Surf Maroc is one of the most efficient yoga retreat centres that I use worldwide. Great yoga teachers, amazing food, brilliant organisation and the surfing was fantastic. Villa Mandala is brilliant. I held a retreat here in June. 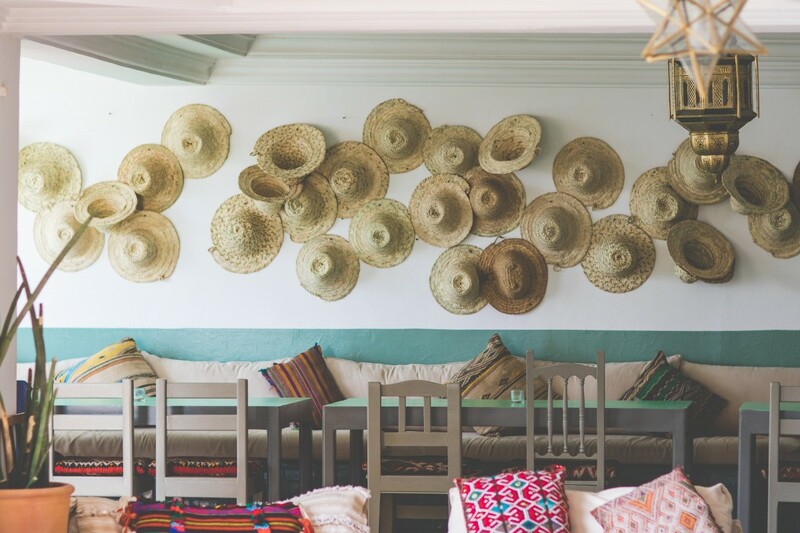 The rooms are gorgeous, beautifully decorated with Moroccan decor, light and colourful. The shala is stunning. 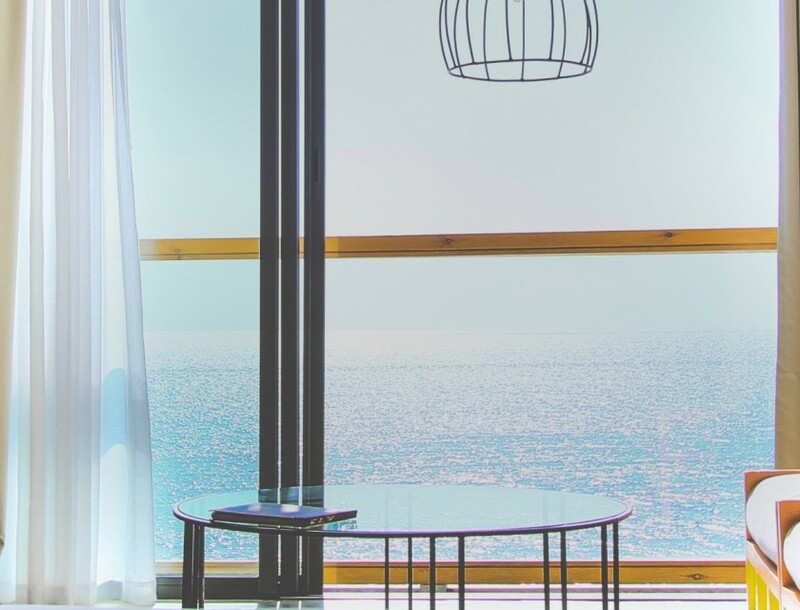 It has perfect sea views and lets in the light perfectly. Can we stay for less than a week ? We prefer to create a great group vibe by everyone doing a full week together. It disrupts the flow if people are coming and going at different times. Do we need to have any surfing / yoga experience ? No! Our experienced & talented yoga teachers & surfing instructors are very capable of teaching all levels. Complete beginners are very welcome. We instruct precisely & innovatively on all the basics & always offer advanced options so everyone may progress during their stay. 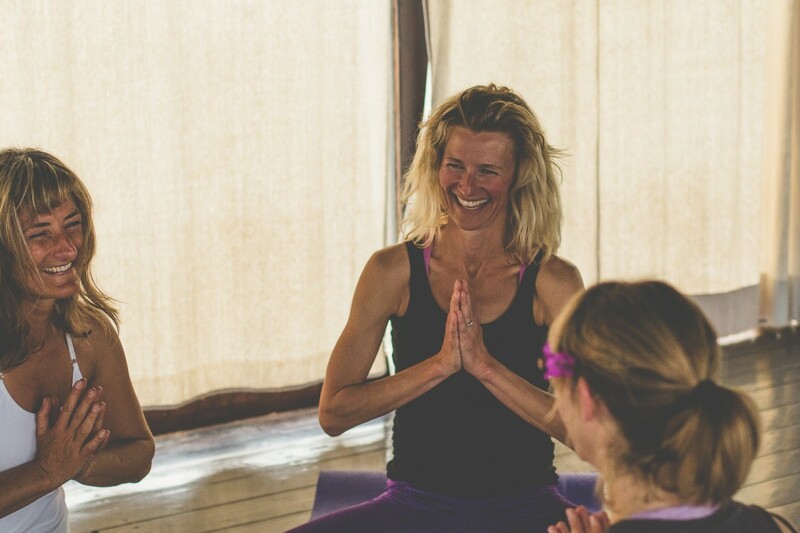 We draw together our years of study, diverse influences and myriad trainings to create inspired Vinyasa flow classes. 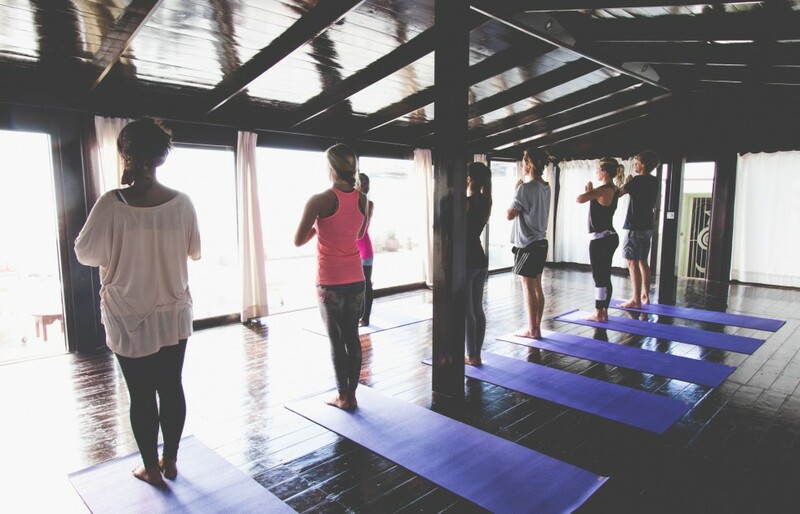 On a Yoga Surf Retreat the mornings are dynamic flow, themed with aspects of the yoga philosophy, chakra system and/or anatomy and physiology. The evenings are restorative, yin based meditative practices to unwind after a day in the surf. Is it compulsory to come to all classes? Not at all, we encourage everyone to do as much or as little as they like, to create ‘their own’ perfect holiday. I'm a beginner at yoga. is this retreat suitable for me? Yes, absolutely! Our experienced and extensively trained teachers create classes for all levels. We set solid foundations at the start of the week for complete beginners and there’s always plenty of options and modifications to enable beginners and seasoned practitioners to deepen and develop their practice. Inspiration for everyone is guaranteed! Is the surfing suitable for beginners? Yes – and we love getting people out on the waves for their first time! 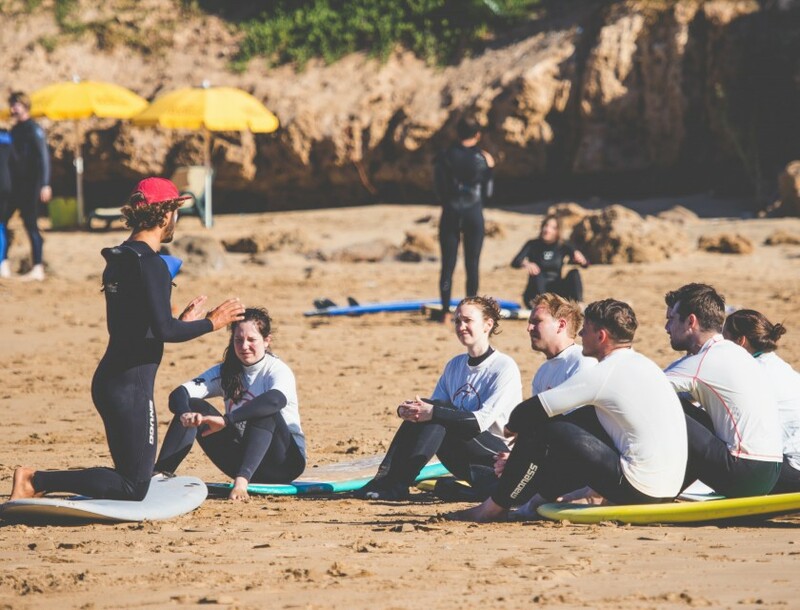 Taghazout/Auorir is spoilt with beautiful surf spots that are perfect for beginners, and we have our great surf instructors to help get you ride the waves. 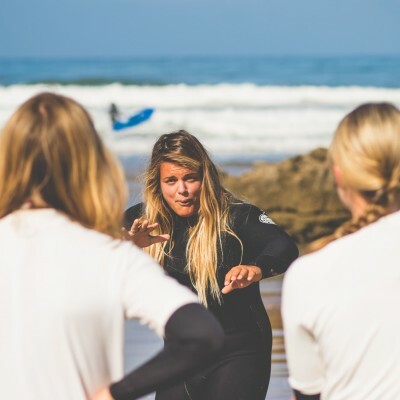 We welcome surfers of all levels, and our experienced surf guides will be taking you out on the waves each day (if you wish) and choosing the best places for everyone to have their lessons and safely practice surfing…and have lots of fun. Our fantastic Moroccan chefs, inspired by Moroccan and international cuisine, prepare exceptional gourmet vegetarian food all day every day (with 1 fish option mid-week if requested). Feedback continues to be faultless, with 6 stars on numerous occasions! A typical day: A bountiful breakfast after morning yoga with fresh smoothies, eggs, fruits, fresh bread…, a delicious picnic lunch on the beach (homemade falafels, hearty salads…), home baked afternoon treats after surfing and a gourmet evening feast after evening yoga (lentil shepherd’s pie, heaps of beautifully prepared and varied veggie dishes, beetroot patties, egg plant parmesana, tagines, guilt free chocolate hazlenut and avocado tart and homemade ice cream..!). Yoga clothes, beach clothes, beach towel, sun cream (as it’s more expensive here), something warm for the evenings & early mornings (almost any time of year, just in case, especially between Nov – March), an adaptor for 2 prong European plugs sockets, a good book for the beach (?! ), something to cover shoulders/legs for markets/towns ladies, like a shawl in summer (not essential but easier to respect local culture). Mostly bring an open heart. The beautiful yoga shala is fully equipped with: yoga mats, yogi toes, blocks, straps,bolsters, blankets, lavender eye pillows and even sand bags! Are there any other activities on offer during the week? Camel riding, horse riding, quad biking, massage and hammam and other spa treats. Also there’s day excursions to: Essaouira (2.5hrs north), Taroudant (1.5hrs east), Paradise Valley (25 mins inland), Agadir town+souq (20 mins south). I'm thinking of coming alone. 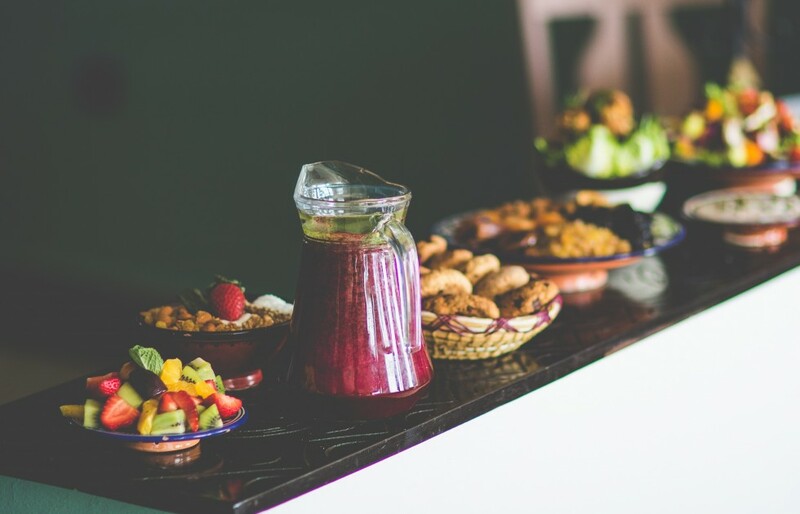 Are many of your guests solo travellers? Yes, lots of guests on our Yoga Surf Retreats are solo travellers. We’ve created a truly friendly, relaxed vibe at Villa Mandala. It’s very welcoming and easy for solo travellers to feel completely at home straight away! My partner and I are different surfing levels is this a problem? Yes, no problem. We always have at least 2 surf instructors on our Yoga Surf Retreats. So we can split the groups as necessary according to differing levels and we’ll always go to the best spot for your level. 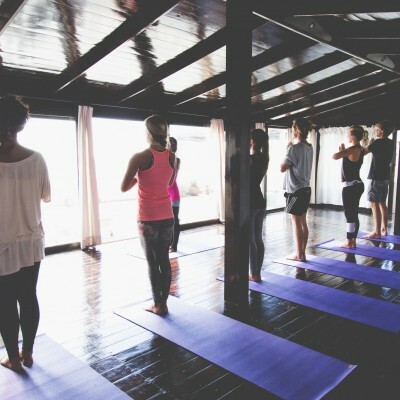 If your boyfriend wanted to miss some morning yoga classes to join a more advanced group from our other venues, we can arrange this too. Are there any extras that I'll need to pay for that's not included? If you’d like further information about these before your stay, please contact us directly. Do I have to pay extra if i come on my own? There is a single supplementary charge of £175 if you request to have a room by yourself. If you happen to end up on your own by chance, or choose to share a room, you will not be charged extra. Is this holiday good for couples? It is a social, communal holiday in the sense that you practice yoga, surf and eat breakfast and dinner together as a group each day. So, it’s great for couples who are keen to socialize and meet other people. There are options to take time out alone too and the villa is spacious enough to find your own quiet corner to relax. What time should I arrive, ideally? Check in is from 4.30pm on Saturday, so ideally any time after this. 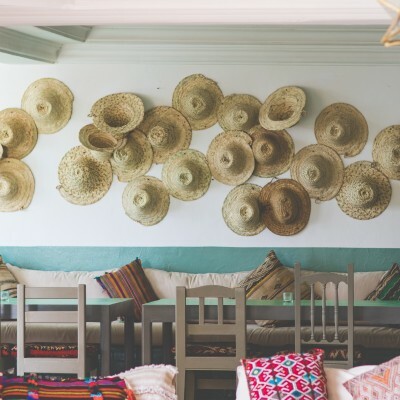 If you arrive before this time, your transfer you at Surf Maroc’s Cafe Mouja in Taghazout where you can get some food, a drink, and take it easy after your flight. You are more than welcome to leave your bags with out reception if you would like to look around Taghazout before being taken to Villa Mandala. An evening yoga class will be scheduled for before dinner. This is usually around 6pm, but may change due to group arrival times. What time will I have to depart? 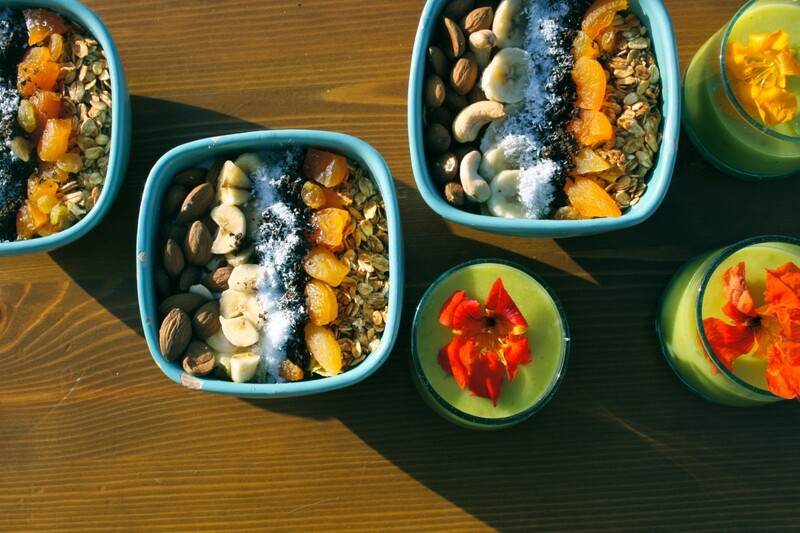 On your departure day, we ask guests to vacate their rooms by breakfast at 9am, or immediately after your last morning yoga class which is 7.30-9am. This is so our staff can clean and change the rooms on time. We will host the group until midday. If your transfer is later that, we have plenty of suggestions for you to fill the time beforehand. Don’t worry, we will talk about this during the week!